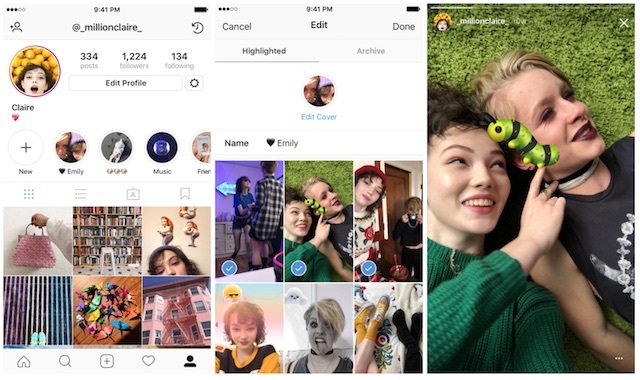 Instagram has today announced the launch of two new features that let users hold on to their favorite moments from Instagram Stories and share them in ways that helps them better themselves better. ‘Stories Highlights’ is a new part of your profile where you can express more of who you are through stories you’ve shared, whereas ‘Stories Archive’ privately saves your Stories for viewing them later. The new Stories Highlights appear in a new section on your profile below your bio. To create a highlight, tap the “New” circle at the far left. From there, you can choose any stories from your archive, select a cover for your highlight and give it a name. Once you’re done, your highlight will appear as a circle on your profile that plays as a stand-alone story when someone taps it. Highlights stay on your profile until you remove them, and you can have as many highlights as you’d like. To edit or remove a highlight, just tap and hold that highlight on your profile. 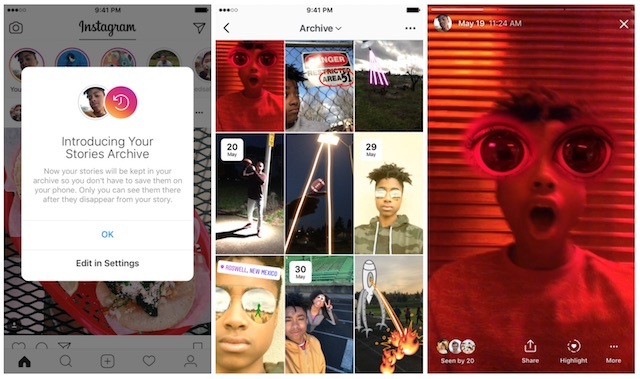 From now on, all your stories will automatically save to your Stories Archive when they expire. This makes it easy for you to revisit your favorite moments later on or bring them back to life in a highlight. To access the stories in your archive, tap the Archive icon on your profile. From there, you can easily switch between your Posts Archive and your new Stories Archive. Tap on any story in your archive to watch it. From there, you can add it to your story, share it as a post or add it to a highlight on your profile. 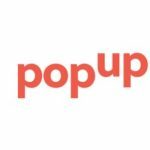 For more information about the new features, visit the Instagram Help Center.